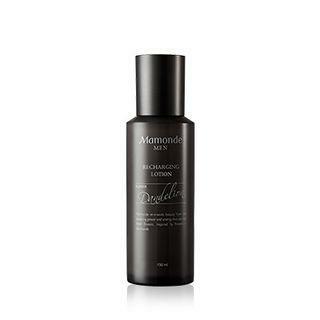 Brand from South Korea: Mamonde. Daily essence lotion with refreshing texture Formulated with RECHARGING BOOSTER (Dandelion Taurine + Caffeine + Vitamin E) to retain skin moisture for whole day long and restore soft skin texture with radiance How to use: After toner, pump out a proper amount and apply to face along skin texture. Gently dap for absorption.